This Mathematics Brain Teaser is for school going students. This Maths Brain Teaser will test your Mathematical skills. In this Math Brain Teaser, you have to solve the given algebraic equations. 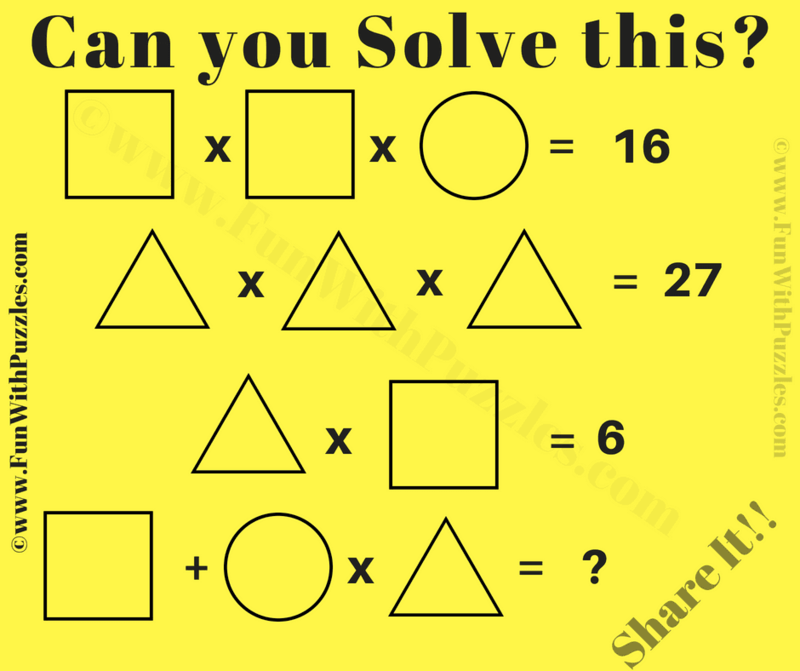 Lets see if you can solve it correctly in your first attempt? Please post your answers in the comment section. Can you solve this Mathematics Brain Teaser? 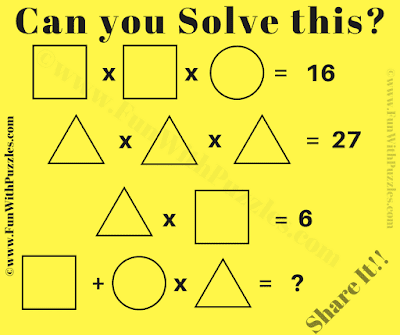 Answer of this "Mathematics Brain Teaser for School Students", can be viewed by clicking on button. Please do give your best try before looking at the answer. So the last equation is now 2+4x3. Applying BODMAS on this answer is 14.